Metabolic Balance is a highly effective bespoke nutritional programme to help you achieve sustainable weight management and optimum health. Your Metabolic Balance programme is devised for you based on the results of your lab data and health information. It is the result of 20 years of work and research by doctors and nutrition scientists who are able to analyse your blood values and determine which specific nutrients and foods are correct for your body for you to be able to function at your absolute best. This analysis of foods is not based on calorie counting or deprivation but on rebalancing your body biochemistry to restore your hormonal balance and metabolism. It is this rebalancing that enables your body to switch from storing fat to burning fat. Other benefits you can expect to experience include improved sleep, greater energy levels and ability to focus and concentrate, an end to digestive issues and headaches, radiant skin and greater vitality. Your Metabolic Balance programme can also be extremely useful for identifying food intolerances. Hilary will coach you through how this can work and at the end of the 3 month programme you are equipped with the knowledge of the foods that suit you best and those that don’t. Your programme is made up entirely of fresh foods that can be easily found in your local supermarket. There are no shakes or meal replacements. If you are not so confident in the kitchen Hilary will advise you how to prepare quick and delicious meals from your bespoke food list. Hilary was privileged enough to be trained in 2009 by Dr Funfack, the founder of Metabolic Balance, and is now hugely experienced in coaching people through the 4 phase programme. An invaluable addition to Hilary’s consultation process is the Body Composition Analyser which not only measures your weight but also shows your metabolic rate, your fat percentage and lean muscle mass and not least of all, your metabolic age! This vital tool enables you to see the positive changes in your body composition as you continue through the 3 month programme. Over 250,000 programmes have been generated over the last few years and hence thousands of people have transformed their weight and long term health through this unique programme. Telephone 07983 565 242. 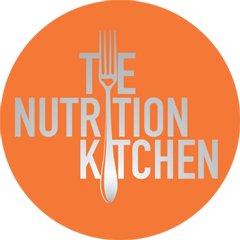 Email hilary@thenutritionkitchen.tv. Copyright © . Valid HTML5, CSS3, WAI. Websites for nutritional therapists.